Rebecca Hanson for Copeland: General Election Candidate Profile. Rebecca Hanson, 44, is a Liberal Democrat County Councillor and a well known health campaigner in West Cumbria who also has a successful career as a teacher, lecturer and education advisor. Rebecca grew up in a deprived area of Newcastle but went on to study Mathematics and Management at Cambridge University. There she met a Cumbrian sheep farmer’s son who tempted her to move to the Copeland Constituency. Rebecca taught mathematics in Copeland’s secondary schools and was the last Head of Mathematics at Ehenside School in Cleator Moor, which she helped to bring out of Special Measures. Rebecca then went on to lecture in Education and consult on national education policies. When the consultation process was shut down by Michael Gove she joined the Lib Dems and served on their national Education Association Committee where she worked tirelessly to reduce the damage of poor Tory education policy. Rebecca now runs an education advisory business which provides highly regarded teacher training in primary schools across Cumbria. 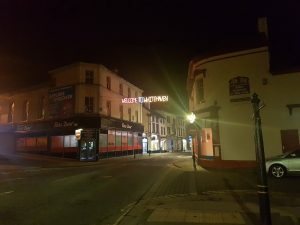 She is also an experienced local Councillor and the elected Cumbria County Councillor for Cockermouth North. 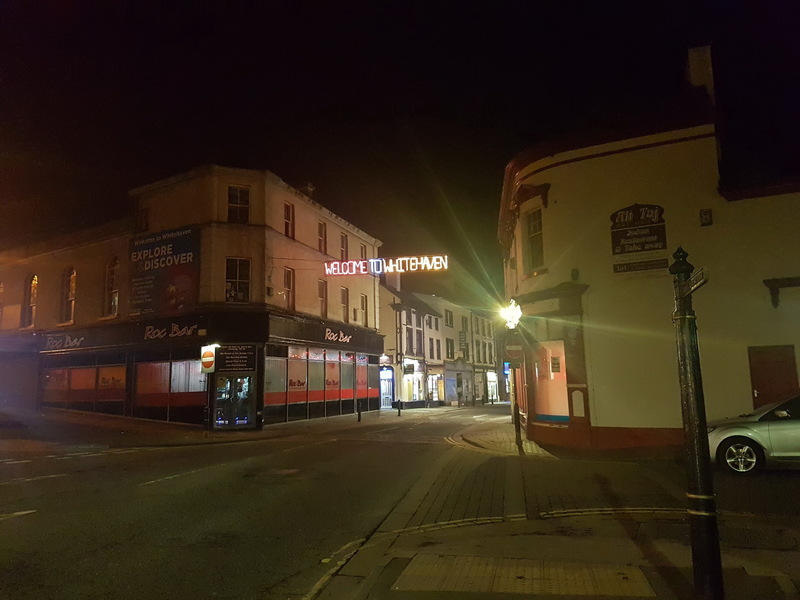 Rebecca has been driving forward the challenge to the closure of maternity and paediatric services at West Cumberland Hospital by writing and publicising key risk assessments. She has used her political experience to change the minds of senior Health managers and NHS inspectors. Rebecca has substantial experience of consulting on nuclear issues. She is a fellow of the Royal Society of Arts and, as one of their digital champions, she wrote a detailed analysis of the collapse of the consultation on how to deal with our nuclear waste. Rebecca is married to one of the UK’s most experienced nuclear engineers. They have 5 children between them. The Liberal Democrats have announced they will invest over £42 million more in schools and colleges in Cumbria over the next parliament. The funding for Cumbria would reverse cuts to frontline school and college budgets, protect per pupil funding in real terms and ensure no school loses out from changes to funding arrangements. £2,735,000 of the funding would be spent on protecting the Pupil Premium, introduced by the Liberal Democrats to help the most disadvantaged children. “Children in Cumbria are being taught in overcrowded classes by overworked teachers – but Theresa May doesn’t care. “Under the Conservatives, funding per pupil is set to see the biggest cuts in a generation, while billions of pounds are being spent on divisive plans to expand grammar schools and free schools. “This extra £42 million of funding would ensure no school and no child loses out. “A landslide for the Conservatives would allow Theresa May to take parents across the country for granted and cut our schools to the bone. “Only the Liberal Democrats can provide the strong opposition Britain needs to stand up for Cumbria. The Liberal Democrats will invest £6.9bn more in our schools and colleges over the next parliament, to ensure no school and no child loses out. A breakdown of local figures on additional funding by local authority can be found here. These plans will be fully costed in the Liberal Democrat manifesto, which will be launched in due course and set all our spending plans out in more detail. This will include reversing the Government’s proposed funding for new grammar schools. 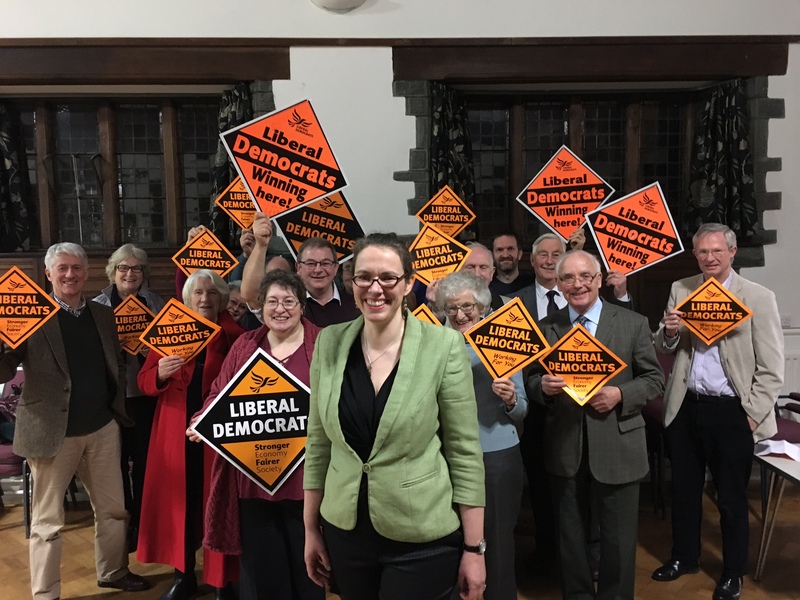 Rebecca Hanson, the Liberal Democrat Candidate for Copeland, taught in secondary schools in Copeland before becoming a Lecturer in Education and an Education Advisor. She served on the Liberal Democrats Education Association Committee and worked to challenge Michael Gove’s education chaos for three years during the coalition government. West Cumbria Liberal Democrats have announced their Parliamentary Candidates for Workington and Copeland. Rebecca Hanson, who fought the recent Copeland by-election, will be standing in Copeland again. Phill Roberts will be the parliamentary candidate in Workington. Rebecca Hanson is well-known for her campaigning work to save services at West Cumbria Hospital. She has an impressive professional and political track record both in West Cumbria and at national level. She became the County Councillor for Cockermouth North in last Thursday’s election after achieving a 34% swing to the Liberal Democrats. Phill Roberts was Chair of Cumbria Liberal Democrats and is a prominent local campaigner on many issues. He achieved a 33% swing to the Liberal Democrats in the Aspatria County Council division last Thursday. “I’m delighted to have such excellent candidates in place for the general election on June 8th. “Liberal Democrats will be campaigning hard on our key policy issues which include an extra £6bn per year ring-fenced for the NHS, improving provision for care and for public health, and challenging the damaging aspects of Brexit. West Cumbria Liberal Democrats Press Release. Trudy Harrison is failing in her bid to be ‘Copeland’s Strong Voice’ because she doesn’t understand the issues. She is angering voters by announcing road improvements which are not in her constituency and writing to people encouraging them to vote Conservative instead of responding to her own constituents’ issues. “In her first two months as MP, the ‘theyworkforyou.com’ website reported that Trudy did not speak in any debates, attend any committee meetings or contribute to any early day motions. Meanwhile the MP for Stoke (who was elected at the same time) spoke 19 times in debates, supported 3 early day motions and attended 6 committee meetings. Trudy’s maiden speech contained no information about how she intends to address any of the issues Copeland faces. “The Conservatives were clearly desperate for a candidate during the Copeland by-election and can’t have done the usual checks. “Copeland needs an MP who understands how to sort out Copeland’s unique nuclear, NHS, education and infrastructure issues. “Liberal Democrats warned Trudy that the government’s own official advice was that it is not necessary to leave the Euratom agreement as part of Brexit, that it is not realistic to make alternative arrangements in 2 years and that leaving Euratom will cause tremendous damage to our nuclear industry. The press reported Trudy’s announcement that it would be fine to leave Euratom if we set up a UK nuclear regulator. She had failed to notice that we have a respected nuclear regulator even though the official advice to the government was given by that regulator. Unfortunately this is typical for Trudy. She doesn’t understand the issues. Councillors Roberts and Hanson at a recent private meeting with health chiefs about the Success Regime consultation. 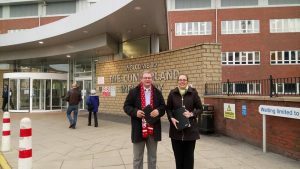 West Cumbrian Health Campaigners Phill Roberts and Rebecca Hanson are fighting hard for Cumbria County Council Seats in the elections on May 4th. Councillors Roberts is contesting the Apastria seat where he lives and is a well known activist, organiser and Councillor. 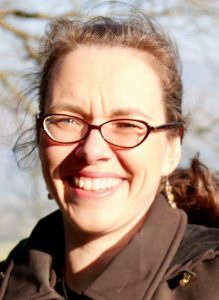 Councillor Hanson is contesting Cockermouth North where she lives, which contains the Cockermouth Christ Church town seat she won in a recent by-election. 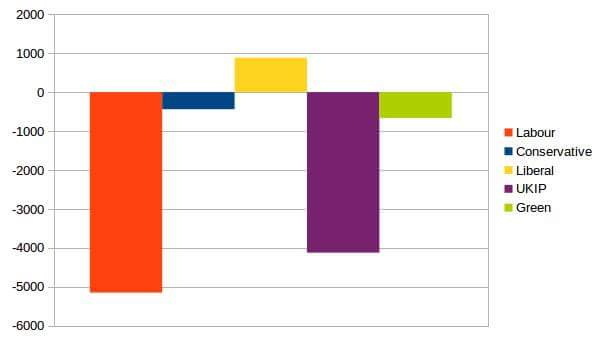 The Liberal Democrats were the only party to increase their 2015 general election vote in Copeland during the recent by-election as they returned to 3rd place in the polls. During the dark months when it was difficult to canvass in the evenings, candidate Rebecca Hanson used Facebook Live to take and answer questions from voters in real time. You can look at the campaign here on Facebook and you can watch the recordings of the Facebook Lives here on youtube. Copeland Liberal Democrats have selected Rebecca Hanson to be their parliamentary candidate in the up-coming Copeland by-election. West Cumbria Liberal Democrats find this consultation fatally flawed. Taken at face value most people would vote Option 1 throughout as it is the least bad of the options. What is missing is the context of the consultation, including; the risk assessment of the expected impact of changes, the financial aspects and the relation to other services, particularly social care in the community. We cannot accept that lives will be knowingly put at risk because Cumbria is sparsely populated. Liberal Democrats are committed to sound financial management of our public services. They are also committed to ensuring our NHS is properly funded (and to raising taxes where necessary to achieve this). Cllr. Rebecca Hanson has today published her second report on the expected loss of obstetric care in Whitehaven. In today’s report she used results from international research on birth outcomes to predict what may happen to births in West Cumbria if obstetric care ends. Her report demonstrates that the risk associated with closure is vastly greater than the risk associated with continuing with the status quo. Rebecca’s report: Closing Obstetric Care in Whitehaven: Implications for Birth Outcomes is available here. Her previous report which showed that there is no precedent for the urgent tranfer times involved is available here. Rebecca’s reports have received substantial coverage in newspapers, on the tv and on radio. 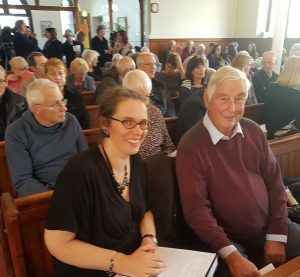 She has received personal assurances and messages from most of the senior people involved in the consultation to confirm that they have read, and are grateful to have received, her report. Picture – Liberal Democrats Rebecca Hanson and Roger Putnam at the Success Regime Consultation in Whitehaven 19th October 2016. 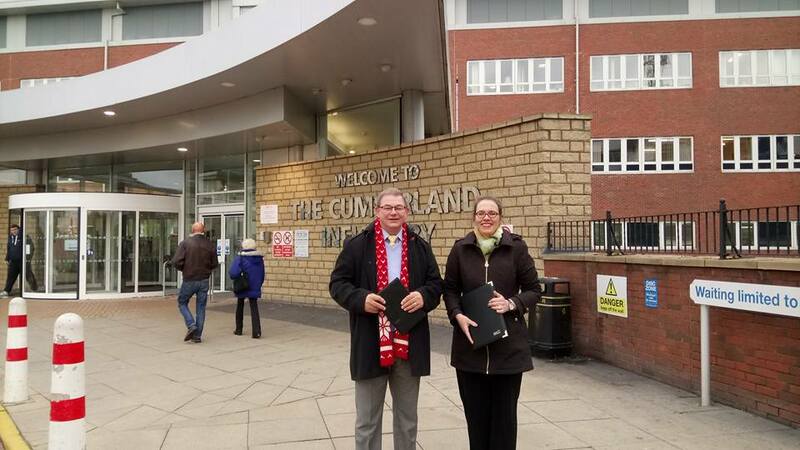 I want to support the recent pleas by Chris Whiteside and Jamie Reed in this column to urge all local folk to make their voices heard, loud and clear, on the Success Regime report into our health services in West Cumbria. We should all endorse the excellent “Save our Services” campaign by this paper and your sister papers to demand a fundamental rethink here. Local Liberal Democrats strongly support the campaign to maintain full maternity services at West Cumberland Hospital and to retain stroke patient care. To do otherwise would be unsafe and discriminatory. Recent public meetings in Whitehaven showed massive support for retaining these services at WCH. The strength of feeling has been overwhelming, especially amongst those working in the hospital maternity department. The vital need now is for all who participated to reply in good time to the Consultation ending on December 9th. I hope too that all community organisations will register their full backing for the campaign. If they all do this, then there is a chance that the Success Regime will eventually see sense. We have a brand new hospital, and yet it is still unclear what services it will provide. What a ludicrous situation! It reflects the chaos into which the NHS has fallen nationally in recent years. At the heart of the problem across the country is that we have not yet found an effective method of managing and financing the NHS to meet the changing needs of the 21st century. The total NHS deficit for 2015/2016 reached some £3.5 bn. There has to be a radical review of health-care and a recognition that substantial additional funding is needed, targeted especially to areas like ours with real disadvantages of poverty and remoteness. That is why the Liberal Democrats are establishing an independent review body, similar to the pioneering Beveridge committee of the 1940s which proposed the creation of the NHS as the central feature of the Welfare State. This will examine the whole problem of health and social care provision at the national level, and explore ways of properly funding what is now needed. However this cannot happen overnight. The only answer as an immediate course of action is to allocate substantial new resources to the existing NHS if it is not to be irreparably damaged. I believe that there is now only one realistic course and that is to increase taxation specifically to retain and improve NHS services before they disappear. Recent public meetings have emphasised the problem of recruiting staff at our hospitals. I recognise that this is a national rather than a local problem and it reflects a wider dissatisfaction with current NHS management and organisation. However recruitment at WCH is especially adversely affected by the ongoing uncertainties about the future of our local hospital. Senior staff will not be tempted to seek jobs where that future is so unclear. Having spent a week-end in the WCH recently, I must pay tribute to those outstanding staff who give selfless support to their patients, despite current uncertainty and shortage of resources. They will all be hoping for a maximum public response to the present consultation. So make sure to send in your views!